John Muir, a young Scottish immigrant, had not yet become the famed conservationist whom he liked to call "John o' the Mountains" when he first trekked into the foothills of the Sierra Nevada not long after the end of the Civil War. Having caught a glimpse of such magical places as Tuolumne Meadows and El Capitan, Muir ached to return, and in the summer of 1869 he signed on with a crew of shepherds and drove a flock of 2,500 woolly critters toward the headwaters of the Merced River. The diary he kept while tending sheep forms the heart of My First Summer in the Sierra; published in 1911, it enticed thousands of Americans to visit the Yosemite country. The book is full of the concerns Muir would later voice as America's foremost preservationist and wildlands advocate, which would bear fruit in the creation of several national parks and monuments. And it resounds with Muir's nearly pantheistic regard for the natural world: with celebrations of the Sierra's lizards that "dart about on the hot rocks, swift as dragonflies," its mountain lions and tall trees and fierce thunderstorms and bears; with Muir's overarching awe for places that civilization had yet to tame. Though perhaps a little purple by modern standards, Muir's book continues to inspire readers to seek out such places for themselves and make them their own--and as such it stands among the enduring classics of environmental literature. John Muir (1838-1914) was a Scottish-born American naturalist, author, and early advocate of preservation of wilderness in the United States. His letters, essays, and books telling of his adventures in nature, especially in the Sierra Nevada mountains of California, have been read by millions. His activism helped to save the Yosemite Valley, Sequoia National Park and other wilderness areas. The Sierra Club, which he founded, is now one of the most important conservation organizations in the United States. One of the most well-known hiking trails in the U.S., the 211-mile (340 km) John Muir Trail, was named in his honor. Other places named in his honor are Muir Woods National Monument, Muir Beach, John Muir College, Camp Muir and Muir Glacier. 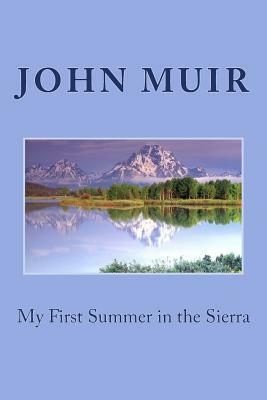 In his later life, Muir devoted most of his time to the preservation of the Western forests. He petitioned the U.S. Congress for the National Park Bill that was passed in 1899, establishing both Yosemite and Sequoia National Parks. Because of the spiritual quality and enthusiasm toward nature expressed in his writings, he was able to inspire readers, including presidents and congressmen, to take action to help preserve large nature areas. He is today referred to as the "Father of the National Parks," and the National Parks Service produced a short documentary on his life.